Woo Hoo! 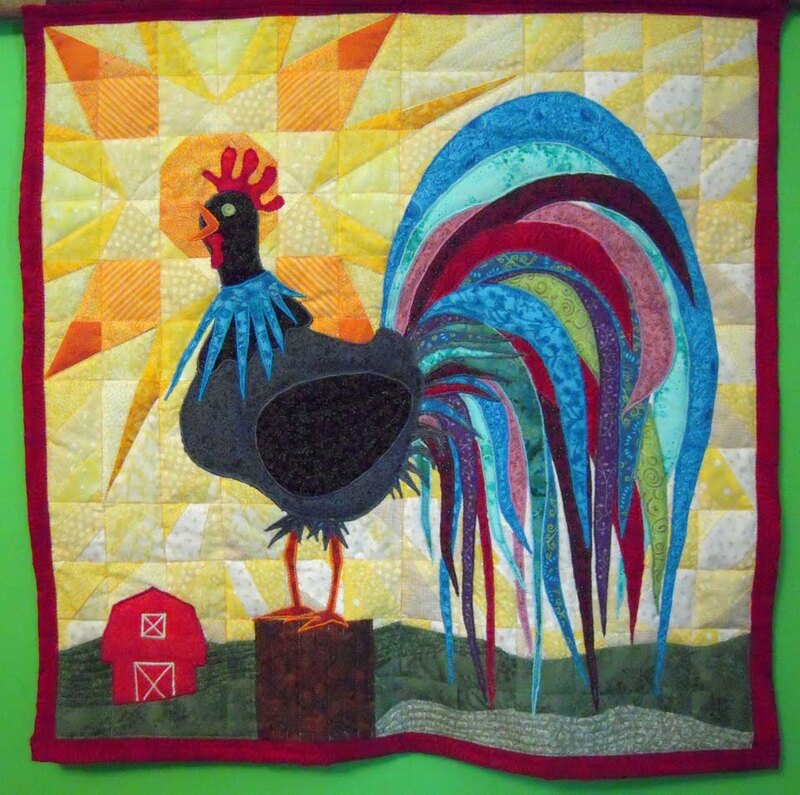 Today I finally finished my Rooster Quilt! I’m glad too because I’m about DONE looking at it… sometimes when I am focusing on the same image for so long, I start to question every decision in the process. I would have liked to hand quilt this one, but alas… after getting ready for a long haul in hand stitching, I found out I couldn’t run the needle through all the layers of the appliqué. So ~ it’s machine quilted, and I think it turned out fine. The face turned out pretty good ~ here is an up close shot. 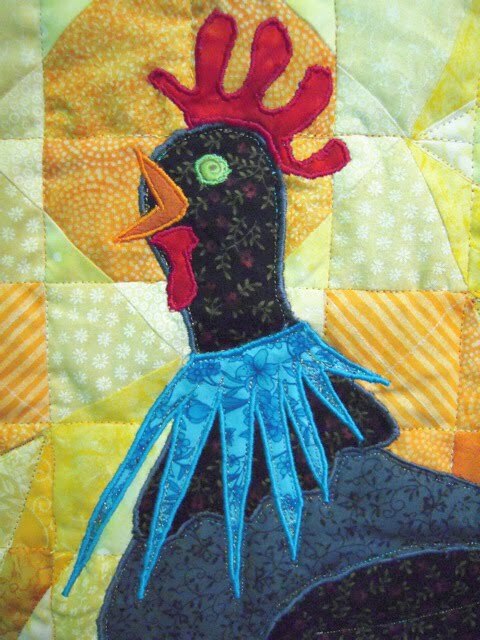 I am so happy to be finished because I already have 2 new ideas for more art quilts! One is a Cancer crab design I did for my daughters tattoo ~ I think it’ll look great as a quilt too. The other idea is a squid quilt… we’ll see how those ideas pan out. I love accomplishment! 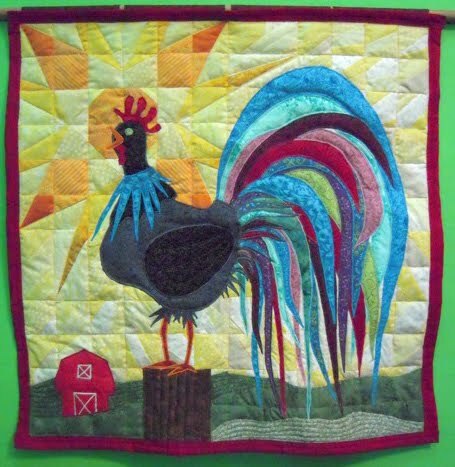 Love this rooster! Wonderful tail feathers and expression!